English bulldogs are popular pet dogs of this generation due to their striking physical appearance. I bet anyone who laid eyes on this particular dog will fall in love with its charming look. Due to their adorable 'sour mug' face, they have even become favorite mascots of many renowned Universities sports teams such as Yale's 'Handsome Dan' and the widely known Georgetown bulldog mascot. Let's talk about the history of this particular bulldog which were first created during the 1500's in England; thus the name 'English' bulldog. The primary purpose of producing them is for bull baiting which is a well-known gambling activity wherein one or more canines were faced against either a chained bulldog or a bear. Therefore, bulldogs were first produced due to their fighting skills. They are famous for their strength as robust dog fighters. Yet on 1830's, bull baiting was banned resulting for the decline in popularity of the bullies. Still, a devoted group of individuals maintained the bulldog breed and eliminated any trace of fierceness in their character so they will turn into domestic, docile pets. Bulldogs may sometimes have that fierce look but behind that face is a devoted and compassionate nature. They usually call for their owner's adoration and attention for they wish to have a closer relationship with their human family. English bulldogs are considered to be ideal companions for kids since they are tiny in size yet heavy-set canines that are strong enough to endure long hours of playtime. Those individuals or families having hectic schedules will find an ideal pet with English bullys because these dogs require only little exercising as well as physical activities. Hence no more worrying about giving your pet dog those 5 mile trail walks daily. If you want to preserve the health and charming physical looks of your bulldog, then you must know how to groom or clean them properly. You don't need to bathe them often; in fact, it is suggested that they get showered only if necessary so their body oils will be preserved, plus the natural smoothness of their coat be maintained. Yet they must be brushed down every day or every other day so that dead hairs will be eliminated. Don't worry because brushing them is fast and easy, lasting for about 5 minutes. Due to their particular jaw structure, make it a point to wipe your bullies inside folds of the skin surrounding their mouth with the use of a wet cloth, once or twice weekly. English bullies are intelligent dogs that can learn swiftly and are very much eager to follow commands in order to please their masters. Though training this variety of bulldog must be done with much patience and perseverance since they can get stubborn when given directions. You also need to be a little strict and be consistent when coaching your bully pet but never hit them. 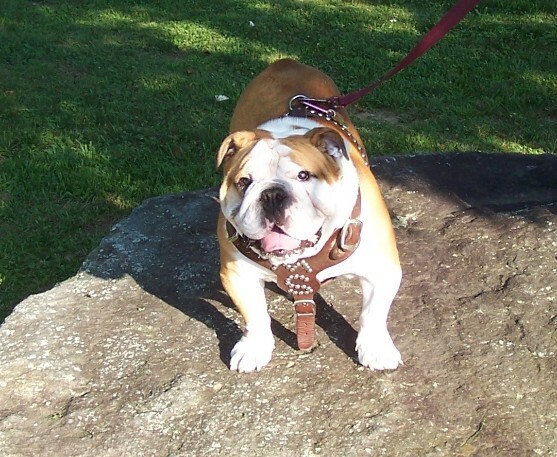 English bulldogs must have dominant masters for them to end up obedient and loyal pets. 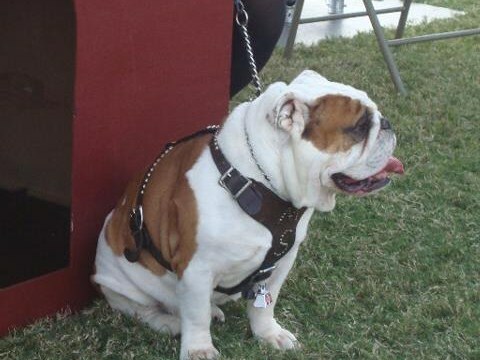 Elena Mastilero is a certified English bulldogs lover, wherein she had spent years taking care of this bulldog variety as her pet. If you wish to know more about English bulldog puppies and how to raise them as your loyal dog companion, you can visit http://englishbulldogsnow.com/.